Subaru has this incredible ability to continually improve their vehicles from year to year and their performance-minded STI models are no exception. While the STI isn’t all new for 2011, it did get a more aggressive look along with some pretty extensive changes under the hood. A new wide-body design brings a more macho front end, and an aggressive lower-body look, quad-tip exhausts, and bulging front and rear fenders help give the car more voluptuous over all look. Inside there are new instrument clusters, a new audio system, and a darker, more understated trim that helps the interior look more grown up and less like a toy. 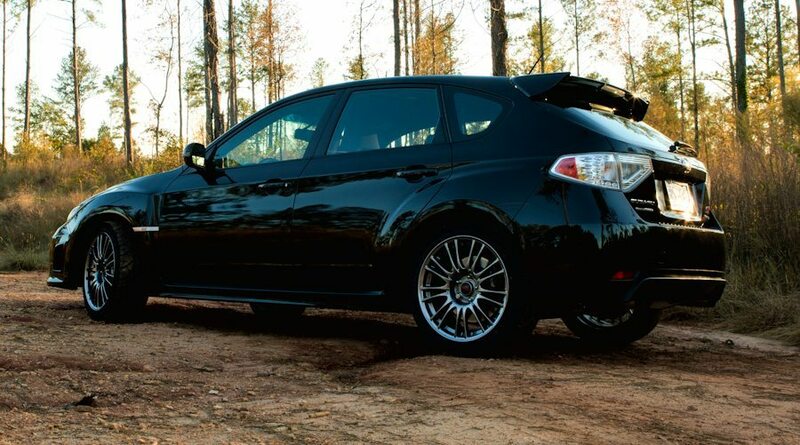 The 2011 Subaru WRX has shed some of the bland appearance that has fueled the majority of Impreza criticism. The four-door sedan or five-door hatch bodystyles both still exist, but it’s the sedan that’s benefited most from the new wide-fendered look since the hatch already looked a good bit wider. The STI gets a 305-horsepower, 2.5-liter turbocharged boxer four, six-speed manual transmission and an all-wheel-drive system that includes the Driver-Controlled Center Differential (DCCD). The former Impreza GT which featured a four-speed automatic has been dropped which leaves an all-manual lineup for the WRX and STI. The STI works itself to a frenzy near redline but down low it feels a little flat so in order to have fun you really have to keep the pedal down. In the STI, an SI-Drive controller lets you select Intelligent (I), Sport (S), or Sport Sharp (S#) modes, each mode affects throttle response a little differently. Along with the throttle response control there’s an Auto, Auto+, Auto-, and six levels of manual center-diff lockup which are all accessed through a little flip switch in the center console. Large Brembo performance brakes take care of the stopping, and a Super Sport ABS system allows independent control of each rear wheel and reduces under-steer. The stability control system includes a ‘traction’ mode, intended for the track, that uses the brakes but won’t cuts the throttle. Although Subaru stiffened springs, bushings, and stabilizer bars, and lowered the ride height on the STI this year it still rides amazingly smooth. The STI soaks up bumps, ruts, potholes, and coarse surfaces with ease. The ride is incredibly smooth and isolated; the handling wonderfully direct and taut. At highway speeds, apart from a little engine rumble and wind noise from the side mirrors, the cabin is nearly silent. Behind the steering wheel of the STI is a well-lit instrument cluster that’s dominated by a large, centrally mounted tachometer and on the right sits smaller speedo. All the gauges are clearly marked and easy to read, a nice change from the almost video game-esque crap gauges from previous generations. The seats come with a fixed headrest and I found it to be slightly uncomfortable, not a ride killer but definitely a negative. The rear compartment is much bigger than the car’s exterior might suggest. Headroom in back is fantastic even for us tall guys. The 2011 STI is one of the safest vehicles in their class, with five stars from NHTSA in most categories. All Impreza variants come with side impact and side curtain airbags, electronic stability and traction control, anti-lock brakes with brake-force distribution and brake assist, and daytime running lamps as standard. Sound systems are all-new this year, with standard USB and iPod connectors, and a touch-screen nav system with Sirius Satellite Radio is optional. 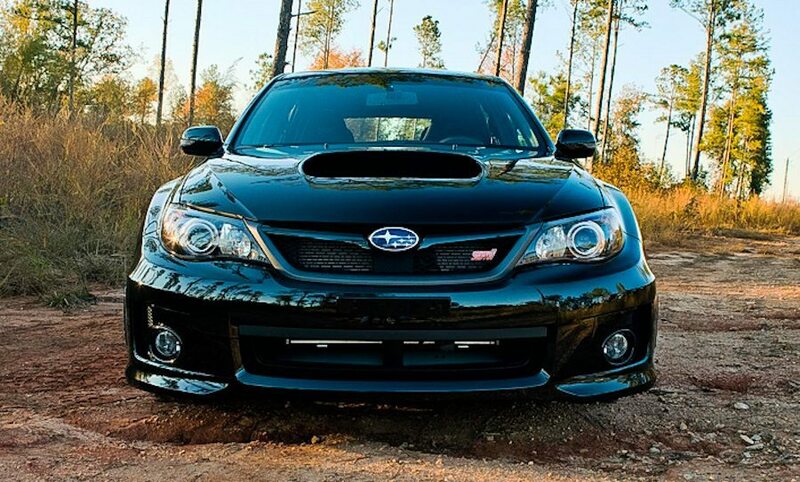 At $33,995 the Subararu WRX STI is a track ready, yet comfortable car that truly offers the best of both worlds.